Spectre Powerboats, the builder of APBA World Champion catamarans that launched in the 1980s, is under new ownership and is poised to stage a major comeback—starting with the 2015 Miami Boat Show. Chris Ivey, a former endurance car racer, purchased the company from Gary Smith last week. 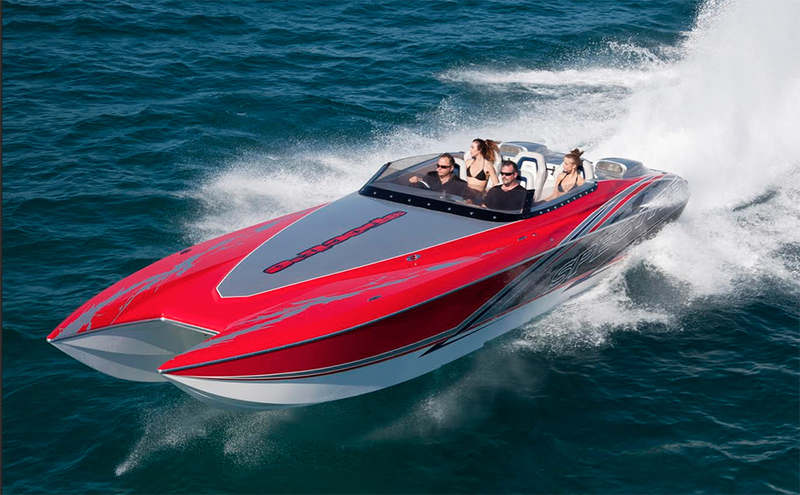 He told Speedboat that his #1 priority is “getting the company back up and running,” beginning with moving molds from storage to the production facility in Fort Pierce, FL. In addition to exhibiting a 32’ Widebody at the Miami Show, Ivey said Spectre will resume production of the company’s 30’, 32’, 36’ and 42’ models. He said Spectre would be attending a variety of poker runs, starting with the Tampa Bay Poker Run, held April 16-19 by the Florida Powerboat Club. “We want to let people know that we’re out there, and that we plan on providing support for other Spectre owners at the events,” Ivey said. Spectre’s rebranding and relaunching of its boats will involve getting its website (spectrepowerboats.com) up and running again after a long period of dormancy. 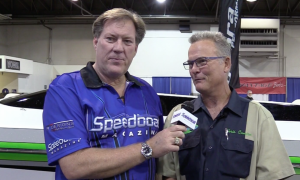 Second Amendment, a 36’ Spectre driven by Karl Steger and throttled by Neil Wobbe, has been an active competitor in Superboat International’s recent offshore races in Production 3 class. Spectre Powerboats founder Jay Pilini is currently building a successful line of center console models under the Pilini Marine Technologies name. 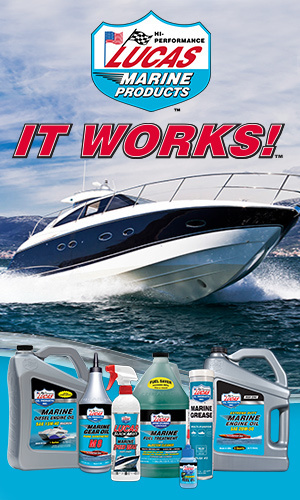 Based in Clearwater, FL, Pilini offers 24′ and 35′ versions. In 2014, it was reported that Pilini was at work on a pair of go-fast catamarans, to be available in outboard and stern-drive configurations.